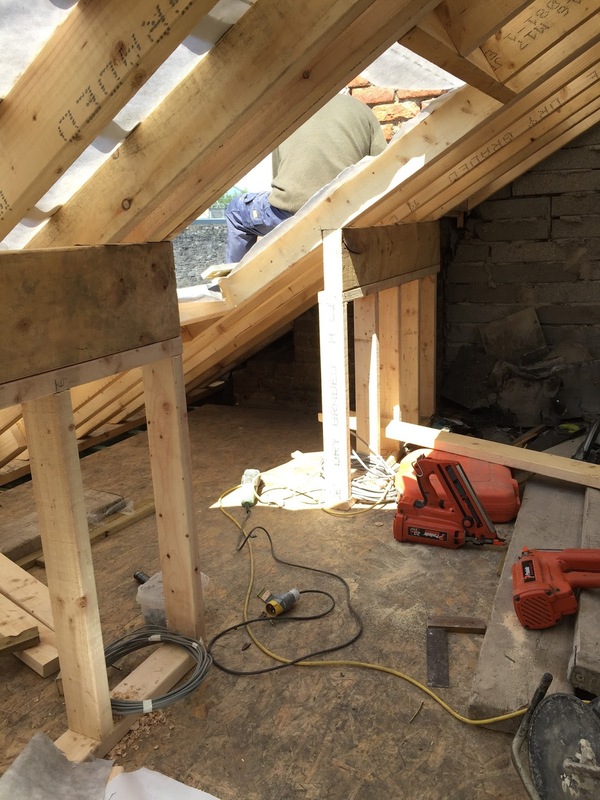 Back in March, when the time came to convert our attic into the second bedroom we discovered that the majority of beams supporting the roof were too damp to be treated and needed to be replaced. Unlucky for us! This left us with two decisions: 1. 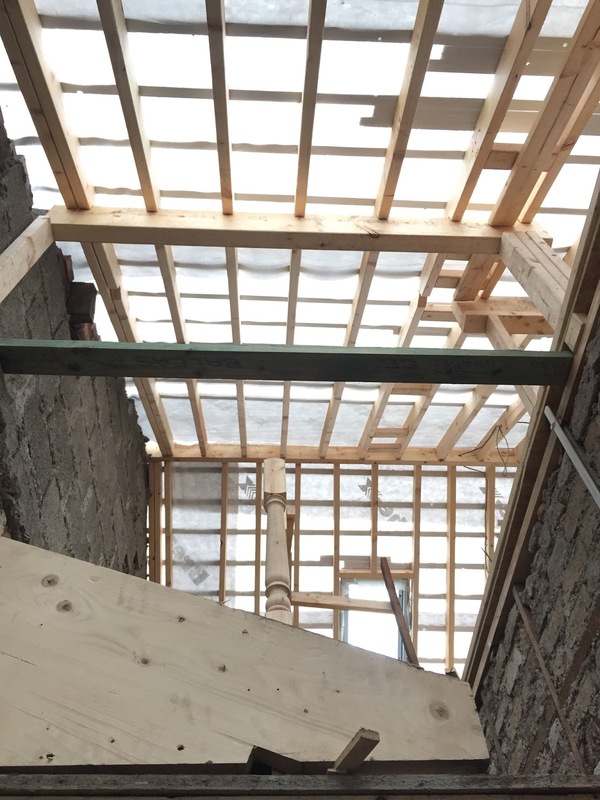 Do a temporary quick fix job and add in supporting beams to strengthen the roof and then plaster and finish the bedroom and re-do it all at a later date or 2. Remove the roof entirely and replace it and then plaster and finish the bedroom. I need not point out which of the two was going to cost more money, but option 1 meant forking out at least 5k and at the end of it all, we would have to replace the roof down the line, undoing all the existing work. This meant wasting a large chunk of our budget because the roof was dipping at the front and back and wasn't in very good shape. Getting this news was a shock and the cost of a new roof was not factored into our already tight budget. It was a tough week for us both. We were already strapped for cash as it was and the thoughts of trying to find 15k in such a short space of time was worrying and very, very stressful. After much thought and discussion (and a few heated arguments) we both came to the decision that replacing the roof was the sensible thing to do in the long term. It meant all the messy work could be carried out when the house was still a shell and we weren't wasting money doing a temporary job. 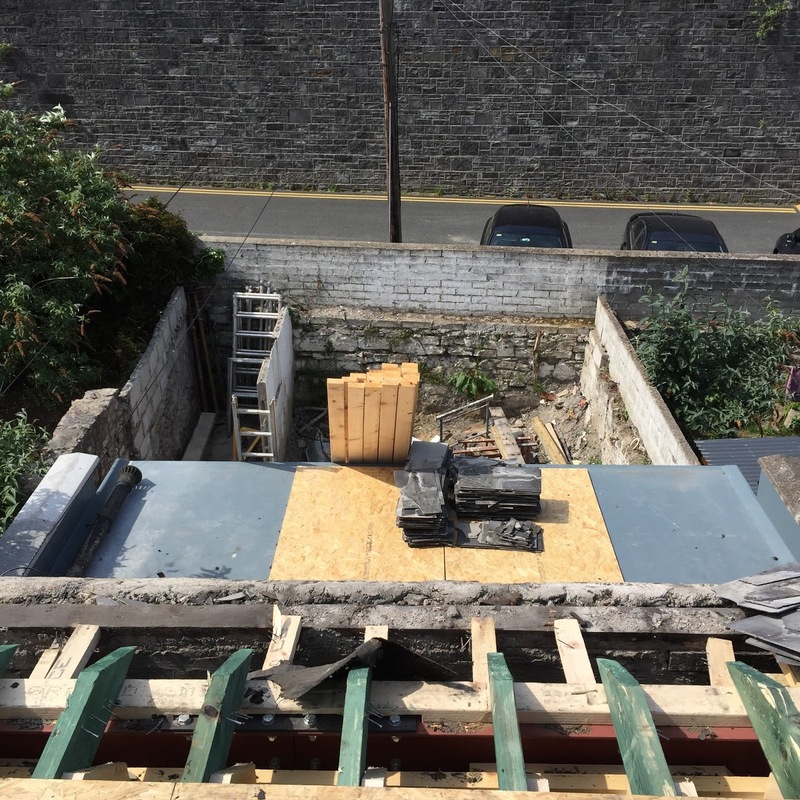 Thankfully our builders were able to start on the roof almost as soon as we gave the go ahead. 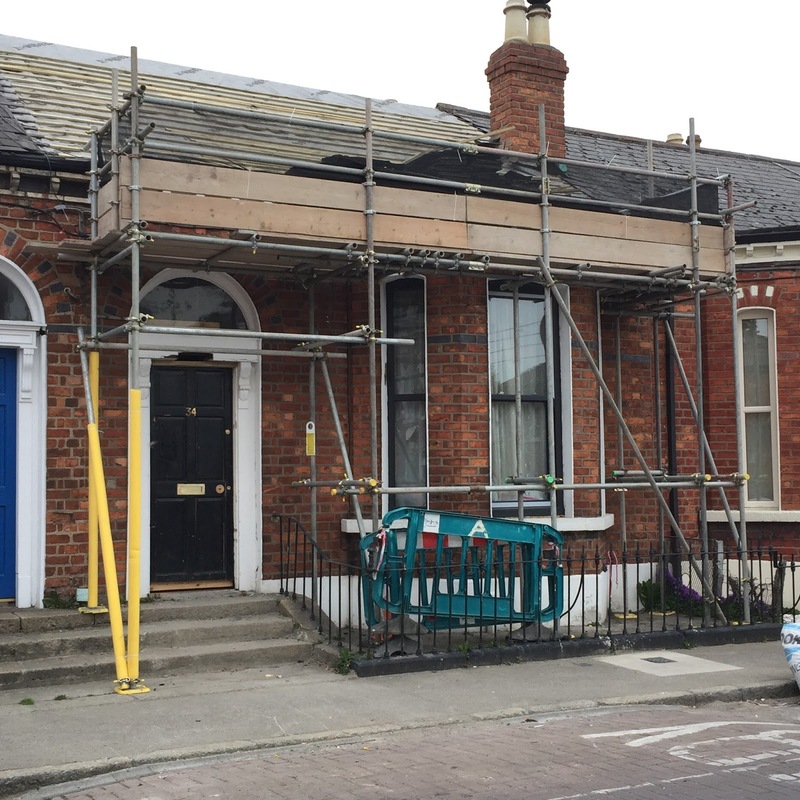 The scaffold was erected and the roof tiles were stripped. Ireland is known for its unpredictable climate but as luck would have it, we got two of the best weeks of the year weather wise! The sun shone for two weeks solid. We couldn't believe our luck. It took the edge of having to fork over such a large unexpected sum of money, ever so slightly anyway. They started at the back of the house and got this section completed first. 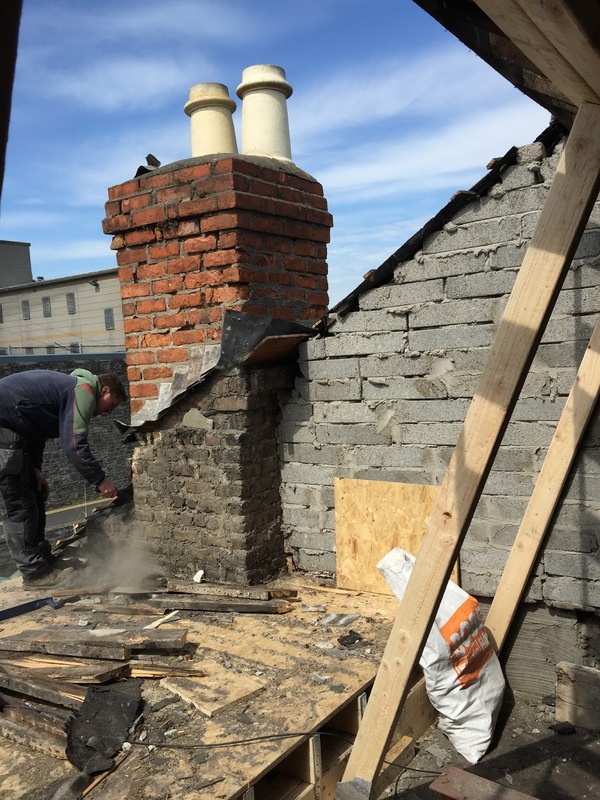 Whilst we had the scaffold rented we decided to have our chimneys repointed. This was a really good move as they look so much better and were in dire need of repointing. If you are considering undertaking a renovation of an old property please remember one thing: once you start one job, three more appear off the back of it. You strip off a piece of wallpaper and it turns into the room requiring new plaster, you take up a floorboard and the entire room requires insulation. I could go on. Diana Ross calls it a Chain Reaction, although in her version, you get a medal when your lost in action.... I'm still waiting on mine. We decided on a large velux roof light in this room and cut a space for it. We also put a smaller one into the en suite bathroom off this bedroom. 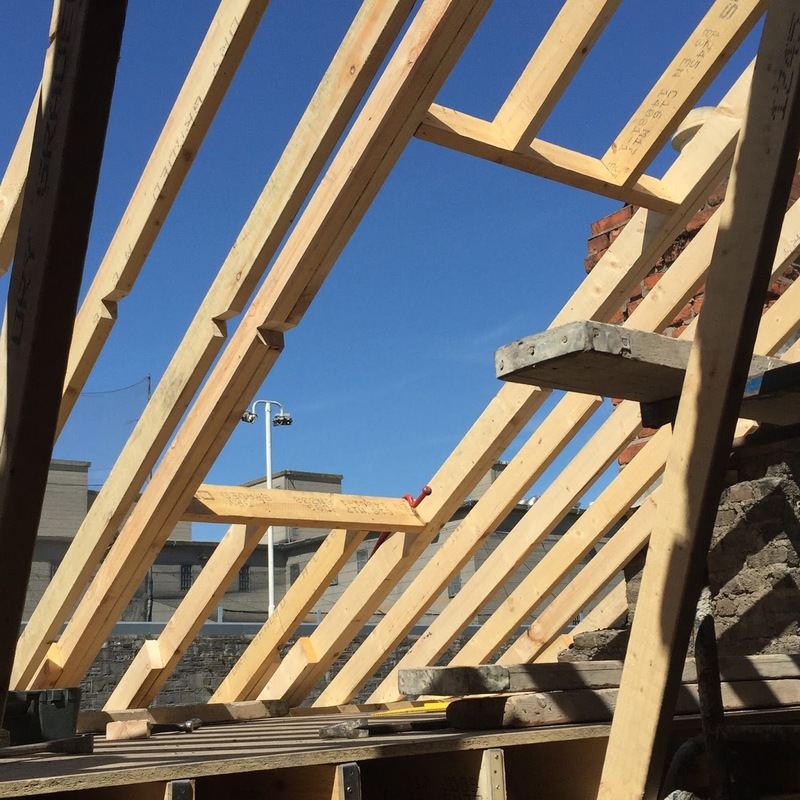 We could have opted for a dormer roof which would have cost a little bit more, but this required planning permission and we just hadn't the patience or the will to go through this process. We are already way behind schedule as it is, so we ploughed ahead to get the job finished. A huge amount of new timber has gone into the roof. We were very lucky we decided to replace it sooner rather than later, as woodworm was discovered in the main beams at the front of the house. By the end of the second week the house was completely watertight. It was such a relief. The new roof looks great and was well worth the effort and stress. It will hopefully not have to be replaced for a very long time to come. In hindsight we would start at the top of the house and work our way down, if we ever did another renovation. 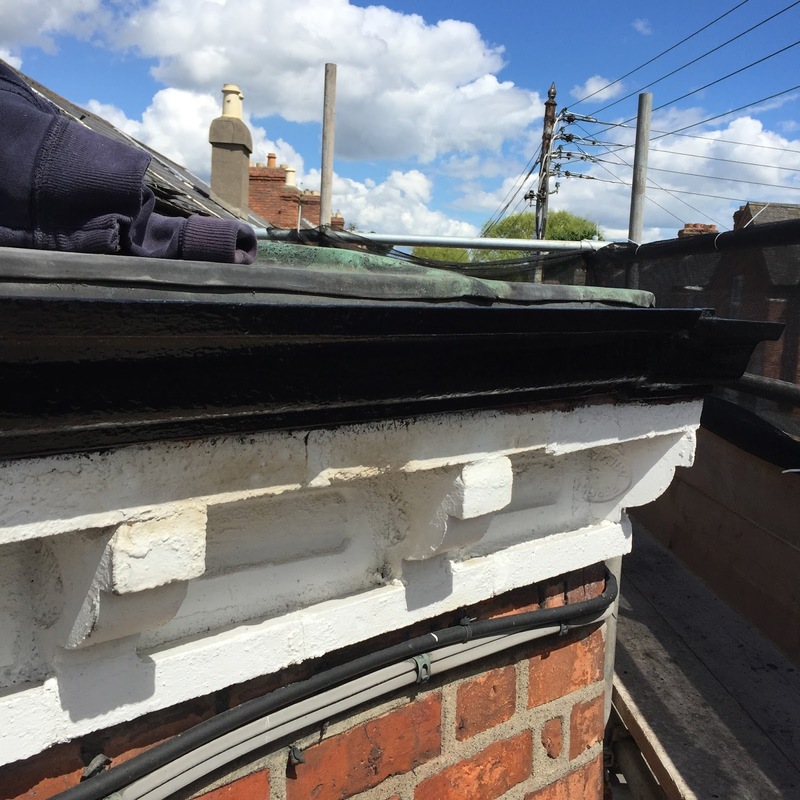 The advice our surveyor gave us was incorrect and of we knew of the roofs' terrible condition, we would have stripped it at the very start. You live and learn. We gained several inches in height in the attic bedroom after the new steel was added. This is a huge plus. We have no budget to slab and plaster this room, but it can be done down the line. The heat in this section of the house is unbelievable. A new roof really was the most sensible thing to do. We are delighted with the finished product. While the scaffolding was in place I decided to clean the gutters, paint them and also paint the facia underneath the guttering. Might as well take advantage of it - I'm not great on ladders. I had the RAL colour from the window frames and got exterior paint mixed up to match. All in all, what started out as a very stressful situation has ended very well. Our biggest learning from this was: double check your information (yes, even from professionals), think about the long game not just the quick fix and wherever possible beg, borrow or steal to get the job done properly!